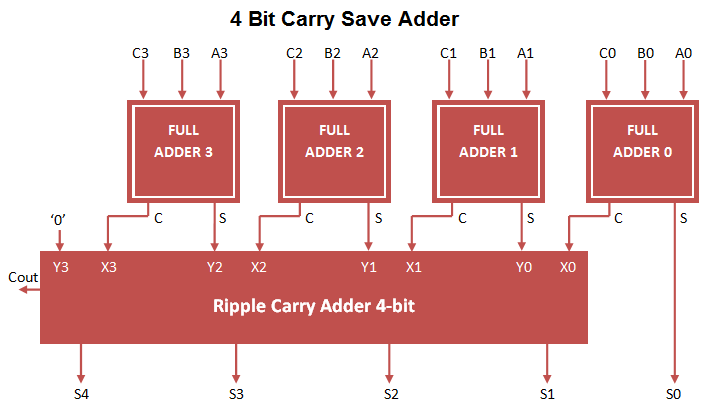 Carry save adder used to perform 3 bit addition at once. 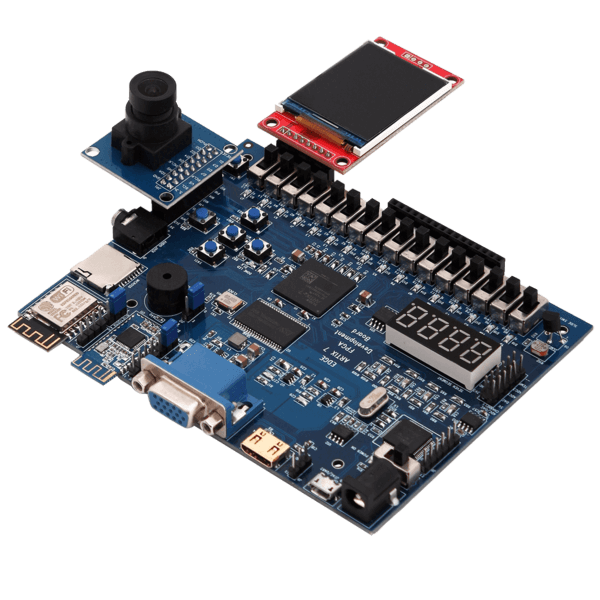 Here 3 bit input (A, B, C) is processed and converted to 2 bit output (S, C) at first stage. At first stage result carry is not propagated through addition operation. In order to generate carry, implemented ripple carry adder on stage 2 for carry propagation. 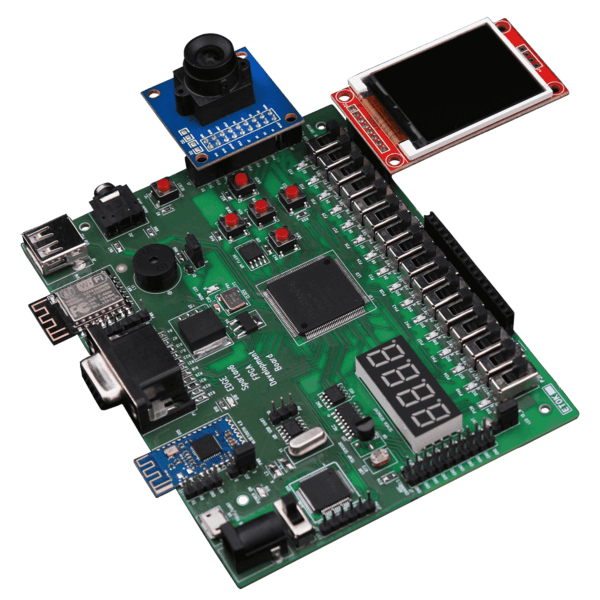 Carry Save adder VHDL Code can be constructed by port mapping full adder VHDL Code to 2 stage adder circuit. Carry Save Adder performs Addition of 3 (A, B, C) 4-bit values and output 5 bit Sum and Cout. Example result (1100 + 1101 + 1110) = 100111 (MSB Bit ‘1’ Cout , Sum 5 bit ” 00111″).